Going from the shipping industry to the wet cleaning world, Michael Kutchuk went from water to water. He is the proud and passionate owner of Nettoyeur Écologique Royal which uses a state-of-the-art, exceptionally green, solvent-free, professional wet cleaning and repair technology, instead of traditional dry cleaning. “It’s like the tropics in here,” Michael is happy to say. Part of a collection of books on nautical lore and photographs of spraying and crashing seas hang on the walls of this cleaning enterprise. One photo depicts the port of La Habana, Cuba which Michael visited on a business trip when he was still in the shipping industry. 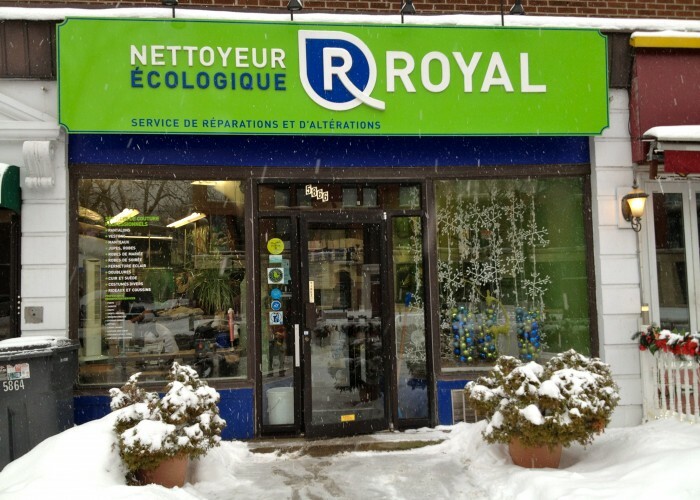 At Nettoyeur Écologique Royal, every item is examined before deciding on the right treatment, then clothes are sorted for the washer based on colour and fabric after which they're transferred to a humidity-controlled dryer. Both of the machines that Nettoyeur Écologique Royal uses for this process are industrial models made by the German appliance and equipment manufacturer Miele. “Here, whites stay white and the machine programs have customizable settings for wedding dresses and as particular as stuffed animals.” Michael explains. Blazers and sweaters air dry. 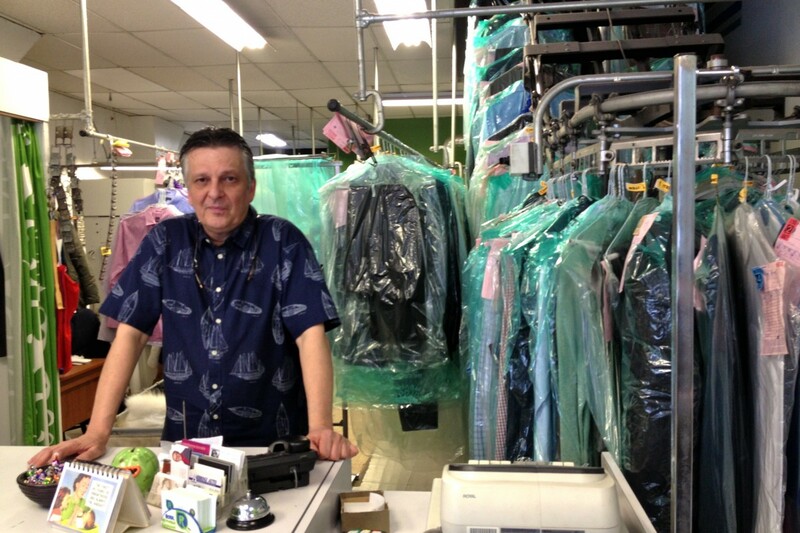 “Some dry cleaners bring me pieces they are too scared to clean themselves,” Michael shares. Because of his gentle handling, Nettoyeur Écologique Royal has grown a reputation for being the cleaner for leather and fur trimmed garments, handbags, delicate natural and synthetic fabrics as well as bling-beaded, embroidered and crystal encrusted garments and wedding dresses. Michael excitedly reveals the special shirt presser, also a high-end German-made piece of equipment. It is satisfying to watch and easy to operate as Michael demonstrates. 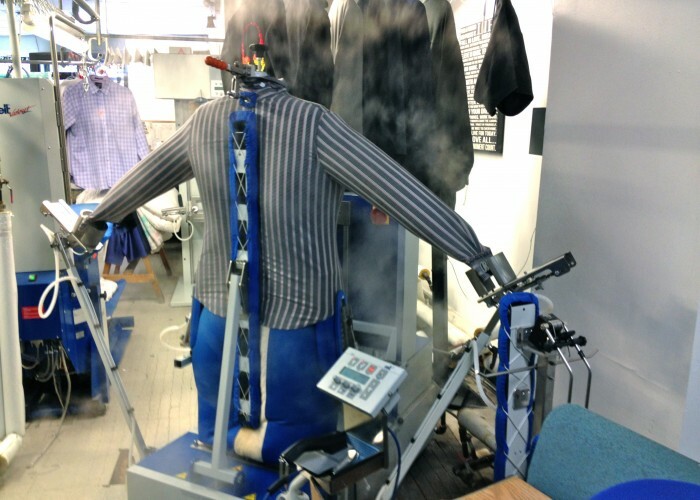 He fits the shirt over the mannequin form and, like a mechanic string puppet, it spreads its arms and inflates like a balloon as it is infused with warm steam. Michael finishes it with an iron. “We clean about 100 men’s shirts every day,” he notes. Nettoyeur Écologique Royal's shirt presser at work. Photo by Dorothy Skutezky. All dry cleaners have to report to Environment Canada about how much hazardous PERC (Perchloroethylene) waste they have picked up every month. “We don’t have to pay for that service here!” beams Michael. 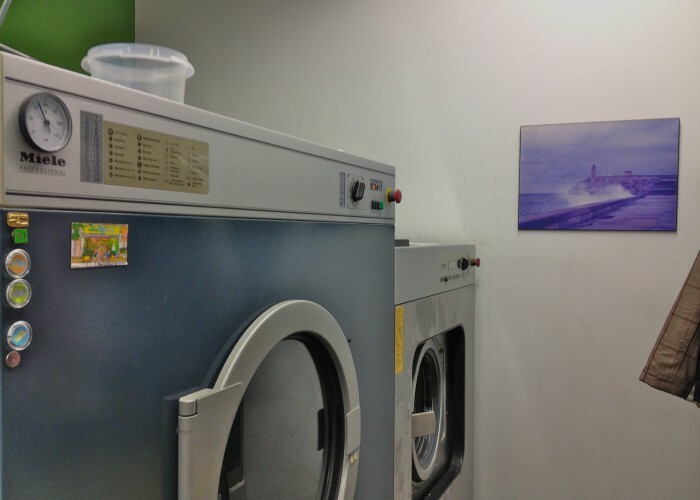 “The thing is, the wet cleaning system I have demands a significant initial investment, and unfortunately it is not accessible to a lot of people starting up a cleaning service,” Michael admits. Attentive, water-based cleaning methods bring impressive return on the initial investment. Brides flock to Nettoyeur Écologique Royal, and the testimonial section of Michael’s website is bursting with gratitude about weddings and memories that he has miraculously rescued from emergencies. The wedding dresses Michael cleans are packaged for pickup in golden keepsake boxes stacked in a column at the front of the shop. These boxes allow clients to open the lid and view their intricate decolletés framed and protected in an acid-free chest. Actually, since becoming a professional cleaner Michael has developed a full-blown fascination with wedding dresses. “I watch ‘Say Yes to the Dress’ religiously,” he admits from behind curling puffs of iron steam.